Mr Hunt gave his franks assessment of the task facing ministers in an interview on the BBC1 Andrew Marr show this morning. He also admitted the apparent strength of opposition to the deal across the Commons meant the vote was "looking challenging but a lot can change over the next two weeks". He added: "The thing people wouldn't forgive us for is if we got to 30th March next year and we hadn't left the EU or we hadn't put ourselves on a course to end free movement of people, which is the thing that mattered to most people, and so that's the uncertainty that we'd be risking." Mr Hunt, who voted Remain the 2016 EU referendum, also refused to say Britain would be better off under Mrs May's deal than staying in the EU. "This deal as it stands mitigates most of the negative impacts," he said, adding: "I think we will not be significantly worse off or better off, but what it does mean is that we get our independence back." "I think the truth is there are compromises in this deal, but my colleagues in the House of Commons will be looking at this and they will say that we have got between 70 and 80% of what we want and the question is, can this be a staging post to getting 100% of what we want? Particularly being an independent trading nation, a sovereign Britain ploughing our furrow in the world." 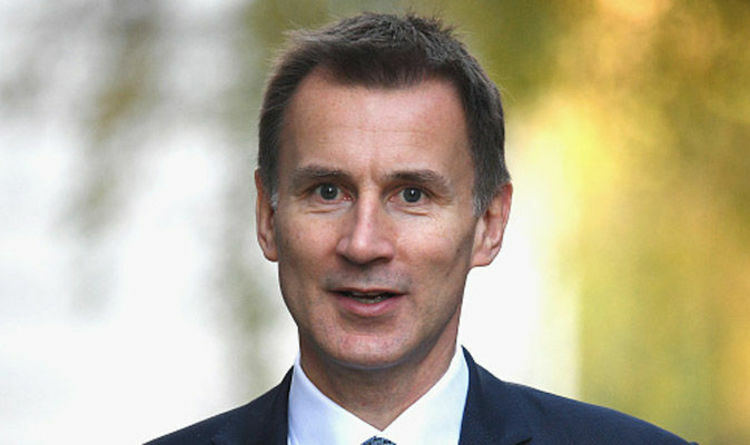 Mr Hunt said: "If we turn this deal down it is not automatically the case that Europeans will agree to negotiate a better deal." A second EU referendum, he said, would be "profoundly undemocratic," adding: "The people have made their decision once and they don't want to go back and keep being asked the same thing over and over again." His fellow Cabinet minister James Brokenshire said MPs should back the deal when it comes before the Commons or risk taking the UK "back to square one". "It's for MPs now, of course, to scrutinise this properly but if that does not happen then, effectively, you will be back to square one with more uncertainty, more division," he told the Sky News Sophy Ridge on Sunday show. "It is important for people to get behind the Prime Minister, get behind the deal that we see being approved today, allowing us to move forward as a country on to all of those things that the British people want us to do, all of the domestic priorities." There was a clear message from people of "let's get on with it", he said. Asked if the deal was better than EU membership he said: "It does give effect to the vote of the British people and therefore, yes, I think it is now - things have now changed, we have had that referendum, we look towards a future outside of the European Union."